Nothing evokes the warm feeling of a childhood memory like the smell of chocolate chip cookies. Nothing. I recall the electric thrill that would resonate through me when I spied a bag of semi-sweet chocolate chips in the grocery cart. I knew that meant mom was going to make cookies. She likely used the Tollhouse recipe, which was the most popular and convenient recipe of that time. 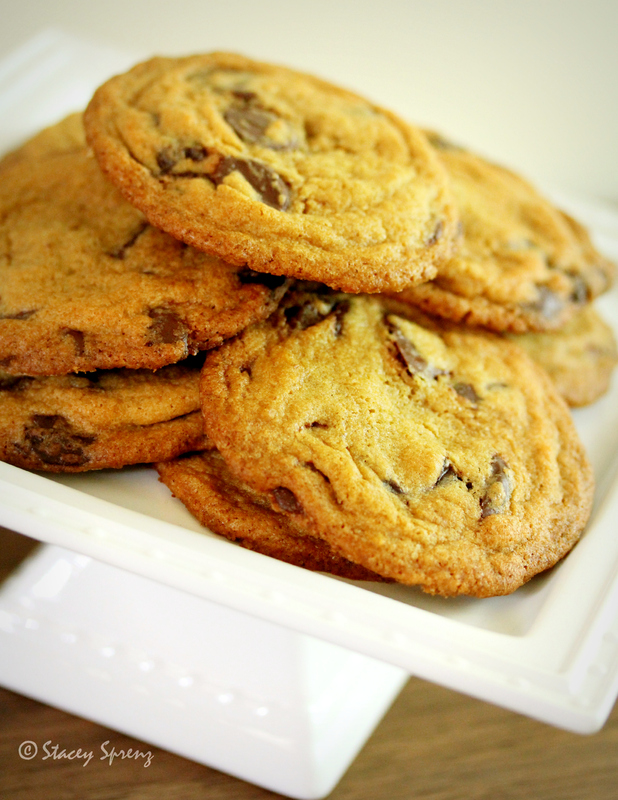 Now, there are so many variations of the chocolate chip cookie that it is difficult to find the perfect recipe. 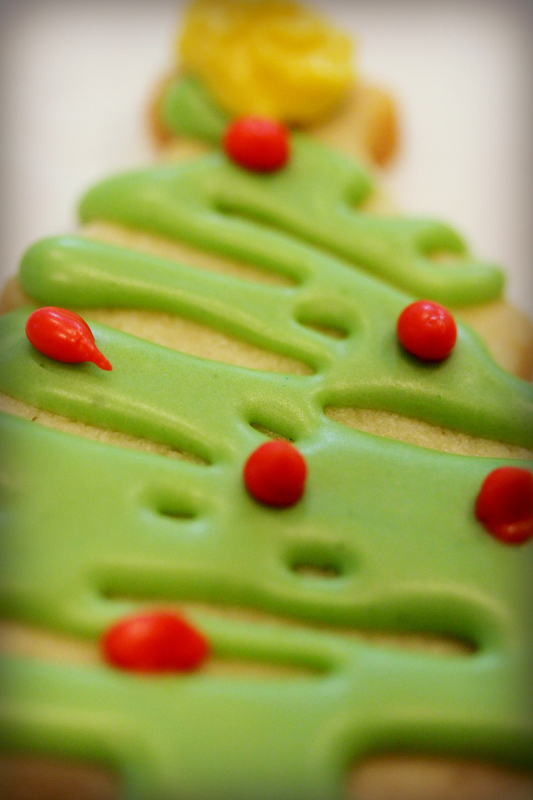 Because it is my favorite cookie, I have tried many of those variations over the years. 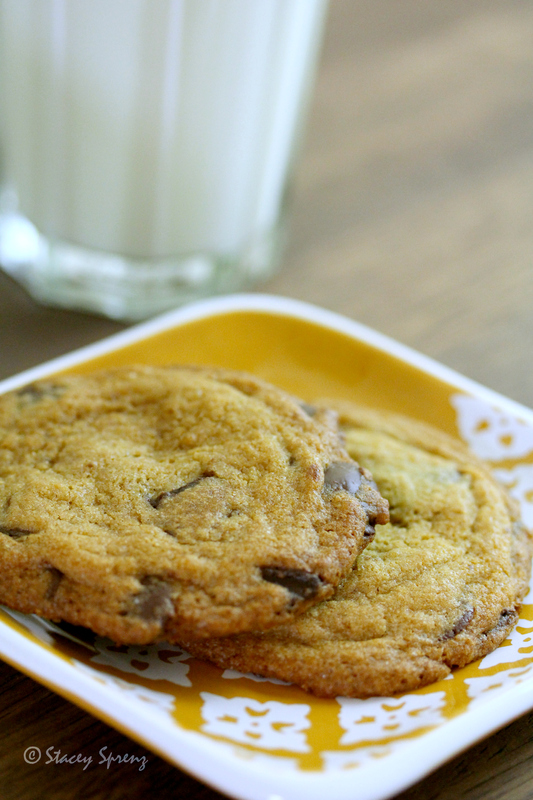 I have yet to meet a chocolate chip cookie–homemade or store bought–that I didn’t like. 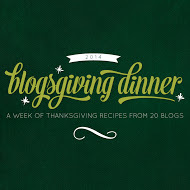 Still, I felt it was necessary to find a recipe that I would love so much that it would become my “go-to” recipe. Many emptied bags of chocolate chips and pounds of creamed butter later, I settled on a recipe that I love. It combines the flavor profiles that I crave in a chocolate chip cookie: a caramel-like sweetness, deep chocolate flavor, and a little saltiness. 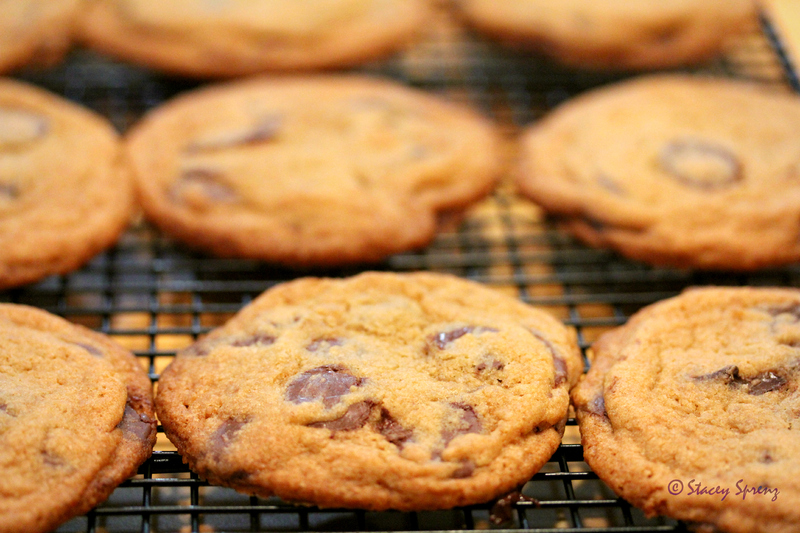 There is no wrong time to eat cookies, especially chocolate chip. Don’t tell anyone, but my favorite breakfast is a strong cup of coffee and a couple of chocolate chip cookies. I can’t resist the temptation any time of day. 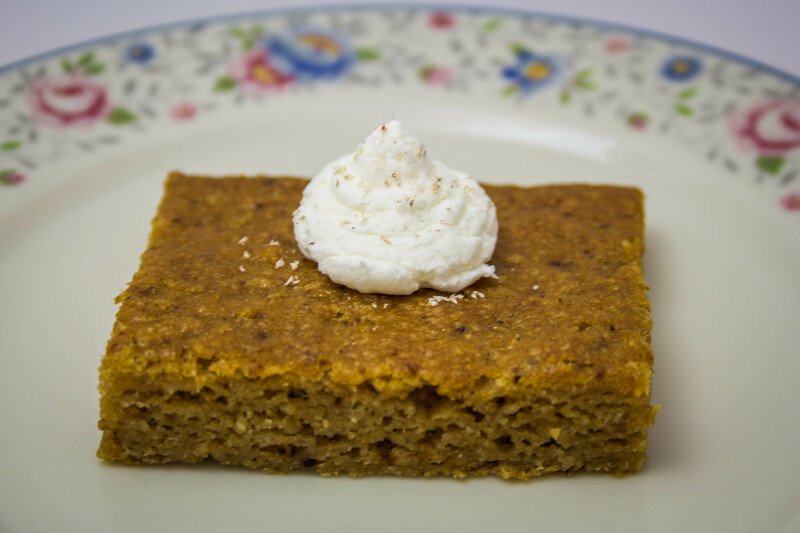 Try this recipe and you, too, will understand why these delectable cookies are my Kryptonite. I have played with this recipe a little. I found that using all bittersweet chocolate chips and increasing the amount to 2 1/2 cups gives the perfect chocolate profile without being too sweet. 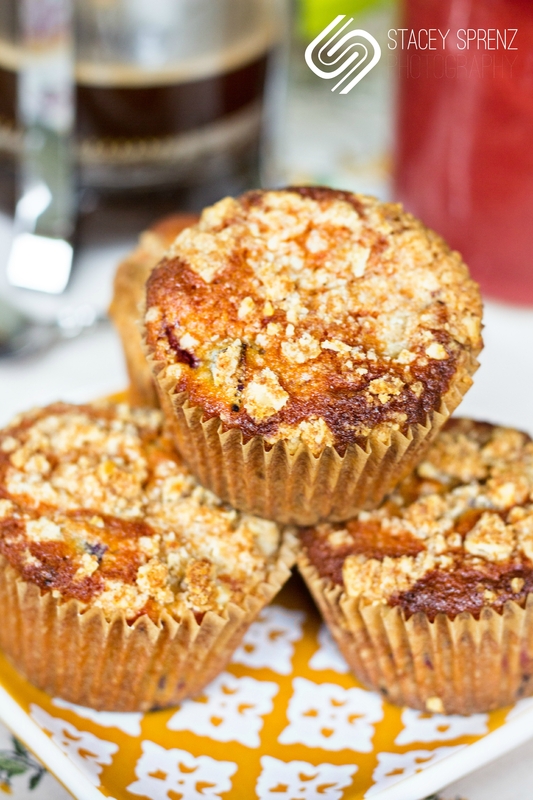 I also found that using all brown sugar provides even more caramel sweetness, which I adore in a baked good! When life hands you lemons, you make lemonade. 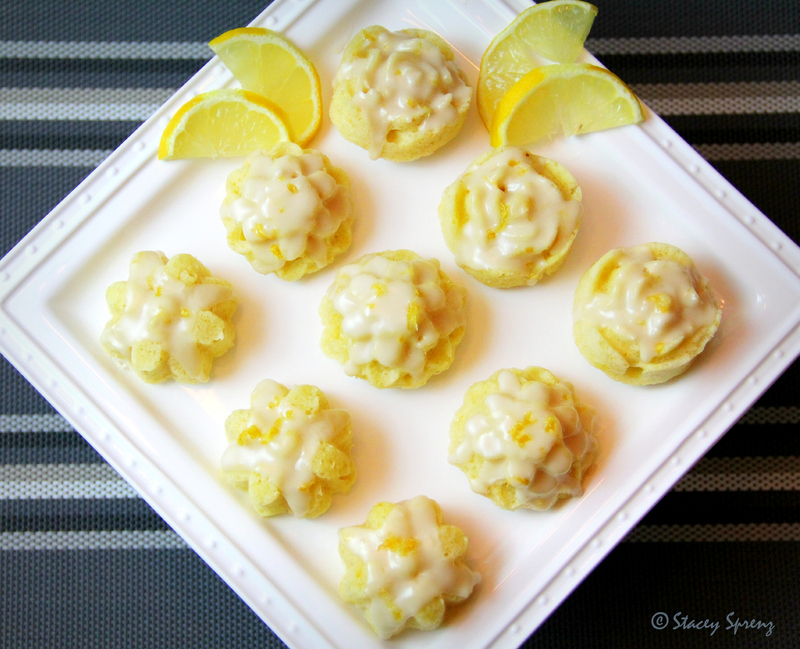 However, when life hands you Meyer lemons, you bake….like your life depends on it. At least, that is what I do each year when the Meyer lemons show up in the stores. The Meyer lemon has an interesting past as a decorative houseplant. It is the hybridization of a mandarin and a lemon—the perfect mix of sour with a hint of sweet. Meyer lemons make great potted plants for those of us who don’t live in Florida, Texas, or California. Place one in a sunny location, and it will produce lovely fruit to be enjoyed throughout the late spring and early summer. Be sure to place it indoors in a sunny spot for the winter! The fruit is a deep school bus yellow, and the taste is distinct with a sharp citrus tang and sweet orange-like notes. These qualities make them perfect for baking and juicing. 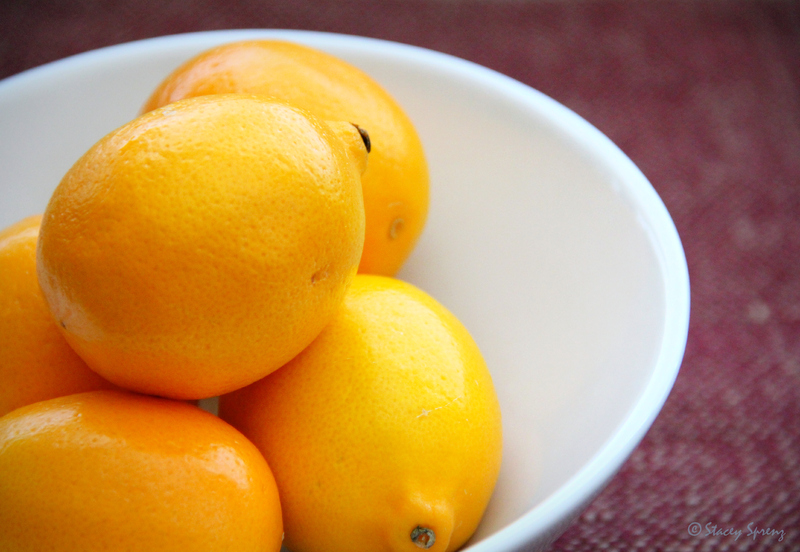 Meyer lemons are a seasonal citrus, which can be found in stores late winter to early summer. Pick up a bag and try our my favorite Meyer lemon recipes. You’ll be dreaming of spring and warm weather with every bite! 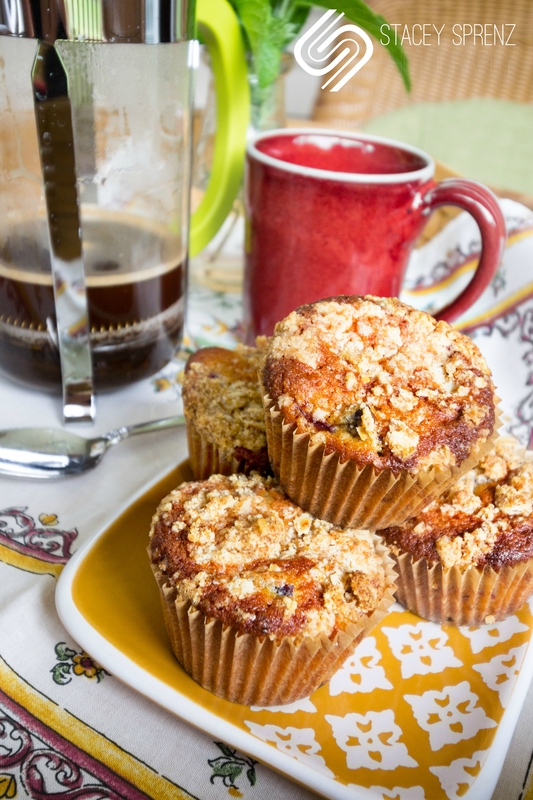 Just add a cup of tea for the perfect afternoon snack. Preheat oven to 350° and generously grease and flour the wells of the pan. 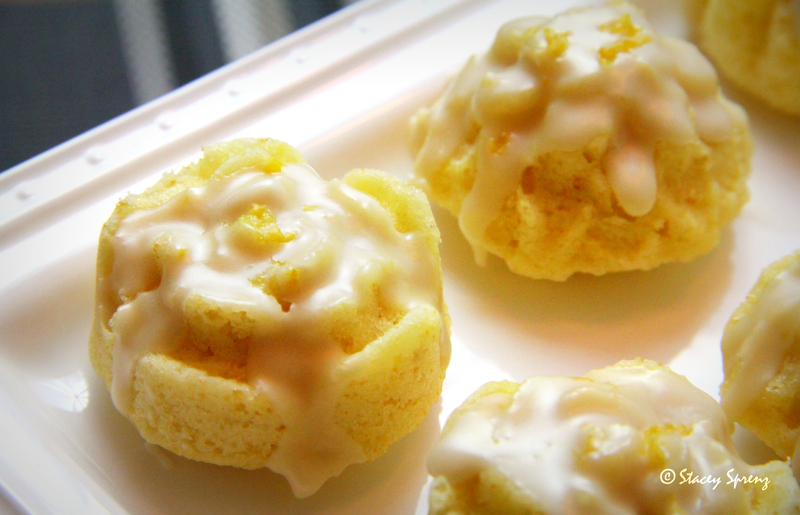 You can use a petit four pan or a mini muffin pan. Beat the butter on medium speed until creamy and smooth, about 30 seconds. Add the sugar and beat till light and fluffy–about 5 minutes. Add the eggs one at a time, beating well after each addition. Beat in vanilla, lemon juice, and zest. Reduce speed to low and add the flour mixture in three additions, alternating with the buttermilk. Ensure it is incorporated before adding the next ingredient and scrape as needed. Spoon 2 teaspoons of the batter (or use a small cookie scoop) into each well of the prepared pan. Tap pan on counter to eliminate air bubbles. Bake 8-10 minutes until the cakes are no longer sticky on top. Cool in pan for 1-2 minutes then turn out onto wire rack and cool completely. 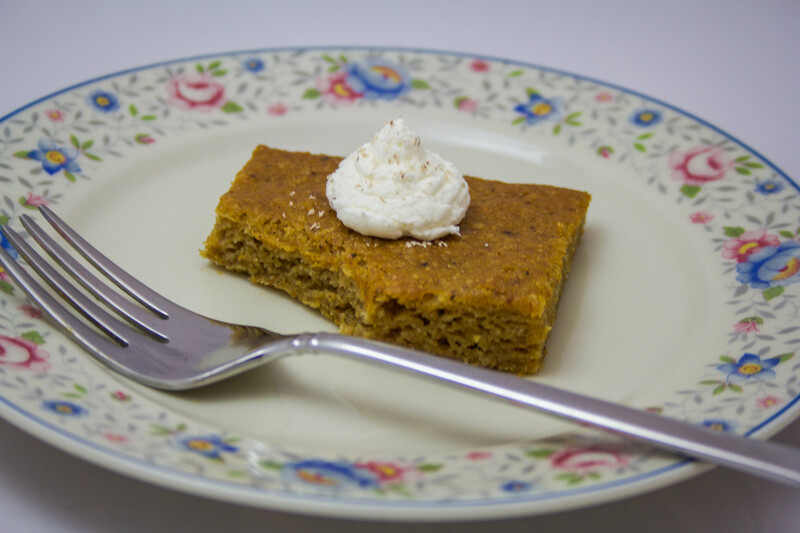 * I wash and dry my Nordicware Petit Four pan before preparing it for another batch. 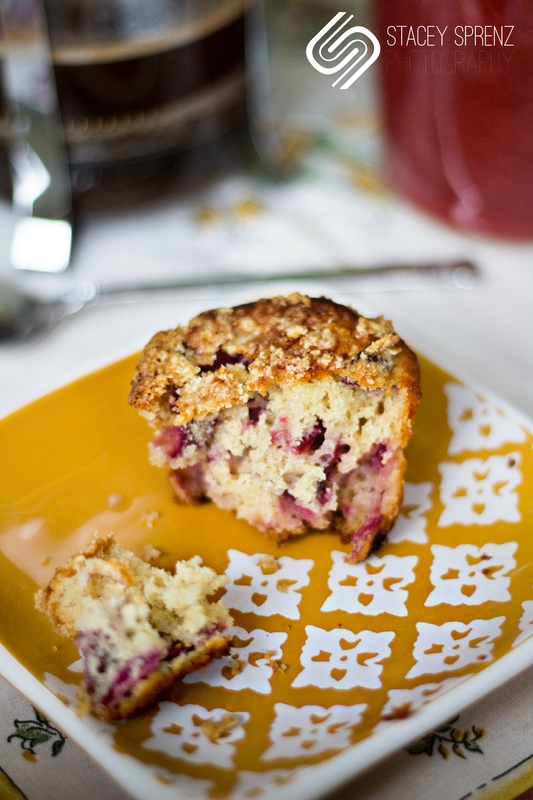 For the glaze, whisk ingredients together and drizzle over the cooled cakes.